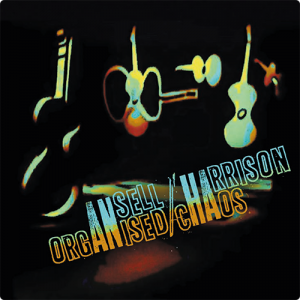 Beautifully recorded, this CD features music by American, Australian, French, Japanese, Paraguayan and Venezuelan composers. 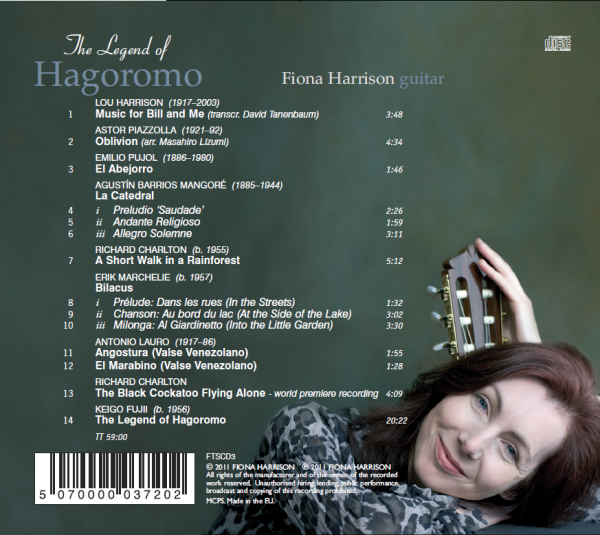 It includes a World premiere recording of Charlton’s The Black Cockatoo Flying Alone and two UK premiere recordings: Bilacus Suite by Erik Marchelie and The Legend of Hagoromo by Keigo Fujii. Sounds of the Australian rainforest give way to the bustling back streets of Italy, in Bilacus, Venezuelan waltzes by Lauro conjure up sunny climes, and The Black Cockatoo Flying Alone by Richard Charlton exudes a lyric warmth. 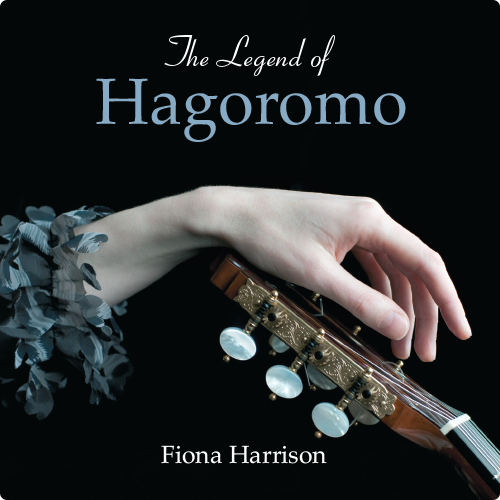 The Legend of Hagoromo is a substantial addition to the classical guitar repertoire, using guitar techniques in an innovative way, with its evocative mood appealing to guitarists and non-guitarists alike. Fiona performs on a Christopher Dean guitar in this recording.